The 2016 Acura RDX gets a handful of updates that bring it in line with the rest of the revamped Acura lineup. The brand's signature Jewel Eye headlights brighten up the front end, and a revised V6 engine sits under the hood. A new Advance Package includes all the high-tech goodies Acura has to offer in one reasonably priced package. The 2016 Acura RDX offers up all the technology and creature comforts of a modern luxury SUV, but with a reasonable price and excellent long-term reliability. Combine that with above-average resale value, and suddenly it's hard to argue against this 5-passenger SUV. If you want a sportier drive, something like the BMW X3 or Infiniti QX50 might be better. There's no high-fuel-economy option, so fuel misers might look to its diesel-powered German rivals. Finally, off-road enthusiasts should just head to a Land Rover or Jeep dealership. The 2016 Acura RDX gets the Jewel Eye headlight treatment, making the look ubiquitous across the Acura range. Additionally, the V6 gets more horsepower and torque, plus a boost to highway fuel economy, while the AcuraWatch suite of driver assist technologies is now available. The 2016 Acura RDX gets a few revisions to its interior trim this year, but more importantly, it gains Acura's dual-screen infotainment system. This cleanly styled interface is the norm in other Acura products, offering a simplified interface compared to the multitude of buttons in earlier RDX models. Otherwise, the soft-touch materials, a newly available 8-way power passenger seat, 10-way power driver's seat, and smart use of space remain hallmarks of the new RDX. For example, if the comfortable rear seats aren't holding passengers, they quickly fold forward to create up to about 77 cubic feet of cargo space. Like the interior upgrades, the new Acura RDX gets subtle tweaks that bring it in line with the more modern design language of the brand. New Jewel Eye headlights flank a revised 3-dimensional grille design, and the new taillights have the same signature look as the rest of the Acura lineup. The new face and tail liven up the overall package, which, although conservatively handsome, needed a bit of visual pizazz. We're still getting ready to drive the 2016 RDX (more on that coming soon), but our time spent with the previous model was overwhelmingly positive. The 3.5-liter V6 engine delivers its power with a smoothness that can't be matched by the turbocharged 4-cylinder engines in the Audi Q5 and Land Rover LR2. The RDX offers a Sport mode that sharpens throttle response, but even with the implied sportiness of the paddle shifters, the Acura RDX is happiest when cruising. Thanks to good sound deadening and active noise cancellation, the new RDX is a quiet ride on the highway. Those highway road trips are made easier thanks to AcuraWatch, the company's suite of safety and driver-assist technologies like adaptive cruise control, collision warning and mitigation, lane-keeping assist and departure warning, and available blind-spot warning. The compact Acura RDX is maneuverable around town, with little compromise to rear seat comfort or cargo space. The base front-wheel-drive 2016 Acura RDX starts at about $36,100, including the $920 destination charge. All-wheel drive adds about $1,500 to the price of any 2016 RDX, while AcuraWatch adds $1,300. The most you'll find yourself paying is about $44,300, a pretty solid bargain for such a nicely equipped vehicle. Whatever model you choose, we think it's a good idea to spend the extra $1,300 on the AcuraWatch package, as it adds a significant amount of convenience and safety for a relatively small sum. At these prices, a new RDX undercuts every rival except the new Lincoln MKC. The Volvo XC60 and Infiniti QX50 are in the same ballpark, and the Germans can be $15,000 higher when they're loaded up. Check the KBB.com Fair Purchase Price to see what others in your area paid, and note that the Acura RDX boasts some of the highest resale values in its class. Most of the luxury SUV competitors the RDX faces don't have the long list of standard features as the Acura, and fewer still at the price. The 2016 Acura RDX comes with things like dual-zone climate control, a 10-way power driver's seat, active noise cancellation, a multi-view backup camera, and a 7-speaker/360-watt AM/FM/CD audio system with a 5-inch LCD display, USB/auxiliary inputs, voice-activated text messaging and Pandora Internet radio. Safety features include six airbags, stability and traction control, and Acura's ACE body structure, which has helped it earn top crash-test ratings from NHTSA and the IIHS. While Acura tends to divide its major options into different model levels, the 2016 Acura RDX breaks with this rule by offering the AcuraWatch package as a stand-alone option on all models, except the Advance Package, which includes it. AcuraWatch bundles adaptive cruise control, forward collision braking and warning, and lane-keeping assist and departure warning in one package. All-wheel drive is also available across the board. Navigation is available on the Technology and Advance packages, while the Advance adds luxury touches like ventilated front seats, blind-spot monitoring, parking sensors, remote starting, and automatic windshield wipers. Don't let the low speaker count of the Acura ELS audio system fool you: This is a darn fine system, one of the best factory-installed sound systems you can buy, and one that any audiophile will appreciate. The fact that it's remarkably affordable is just the icing on the cake. The Acura RDX Advance Package is the bargain hunter's delight. Not only does it include every factory feature available for the 2016 RDX, it does so at a price of about $44,000 for an all-wheel drive model. That's not much more than the base price of its German rivals. You wouldn't know the 2016 Acura RDX has a new 3.5-liter V6 engine just from looking at the specs. However, despite the incremental 6-horsepower increase and one lb-ft of additional torque, Acura says the upgraded engine delivers its power more efficiently, with a better torque spread. That's all supposed to translate into a more powerful feeling drivetrain. Power is routed through a 6-speed automatic transmission, either to the front wheels or through Acura's AWD with Intelligent Control system. In addition to the slight power increase, the 2016 RDX gets slightly better fuel economy, saving an additional one mile per gallon of premium fuel on the highway for both front-drive and all-wheel-drive models. That the 2016 Acura RDX needed only a handful of upgrades to stay competitive in the premium SUV segment speaks volumes about how right Acura got it. Already sporting a powerful V6 engine, the choice of front-wheel drive (FWD) or all-wheel drive (AWD), plenty of cargo space, and comfortable seating for up to five passengers, the new Acura RDX gets a bit more power, a new trim level that bundles all the technology Acura can muster, and it now boasts the Jewel Eye headlight treatment, fully bringing it into the modern Acura visual aesthetic. Put it together, and the new RDX makes a strong case for itself against rivals like the BMW X3, Mercedes-Benz GLK Class, and Audi Q5, especially when you consider Acura's impressive reliability. Leg room and pleased with entertainment features. My one complaint about this car is the headlights are either not bright enough or not the ideal angel. I do not like night driving in this vehicle. On the positive, I am tall, this vehicle is perfect for me. I love how much room I have for my legs in the driver's seat. Also, the driving safety features are amazing. Lights on my side mirrors detect if a car is approaching from the side so I know not to turn. I know I am safe because I do not have to worry about my blind spots as I drive in busy traffic. Another feature I love is the Bluetooth, my first experience and I love playing my music and how it connects instantly when I start my car. 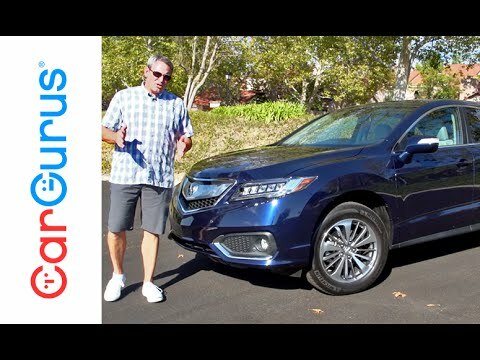 Acura rdx- starts off great, takes a turn for the worse! I loved my Acura rdx for the first two years. It drove nicely, was reliable, and the perfect size, as I had just had my first child. However the past 6 months or so I have had lots of problems with it. First the center console latch broke, leaving it open all the time. Then my brakes started squeaking so I took it in, as it is still under warranty, and turns out I needed an entirely new brakes system. Finally, my shocks needed to be replaced. As I said, this was all under warranty and was replaced no problem, but a car dealership with a baby is the last place I want to be! I will be getting rid of this car soon. The Acura of your dreams. I love my car. It has a great air conditioning and heating system. It has heated seats which I love to you on chilly winter nights. It seats up to four people, not counting the driver. The trunk is spacious and the door can be opened manually or by button. It is also hands free so I can control the volume, music channel, phone and radio setting without having to take my hands off the wheel. It does get good gas mileage and has been great for road trips, as well as a simple trip to the grocery store. It is easy and fun to drive. I love my car and enjoy it everyday I use it.